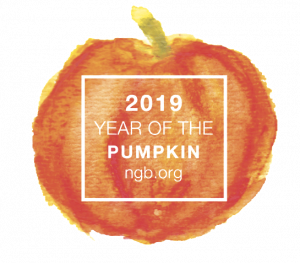 According to the National Garden Bureau, pumpkins and other crops in the Cucurbitaceae family originated in Central America, where Native Americans would either roast and consume strips of pumpkin flesh, or dry the skins and weave them into mats. When European colonists arrived in the Americas, they prepared a dish believed to be a precursor of modern pumpkin pie. Pumpkin carving comes from an Irish custom of carving jack-o’-lanterns out of turnips and potatoes and placing embers inside to ward off evil spirits. When Irish immigrants arrived in America in the 1800s, they brought this custom with them and applied it to pumpkins. Hoffman noted that as spending increases for Halloween and autumn decoration, growers are seeing an increase in the bottom line of their profits. He’s noticed the spending increases every year, both retail and wholesale, starting in September. 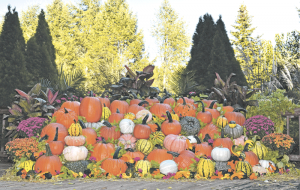 “Pumpkins are a profitable ‘one more thing’ to have for a lot of growers,” Hoffman said. Because of that, Outstanding Seed Company is breaking ground on an 11-acre pumpkin research facility in southwest Pennsylvania this spring. The diversity among varieties classified as pumpkins is vast, with sizes ranging from four ounces to over 1,000 pounds. There are various shapes and colors, including orange, yellow, white, green, blue, gray, pink and tan. To have pumpkins ready for sale in autumn, seeds should be planted between late May and mid-June, after all risk of frost has passed. The plants perform best when they are fertilized throughout the growing season, and fruit set will be strongest if the flowers are pollinated by bees, according to the National Garden Bureau. The bureau adds that when the pumpkins have matured, the stem holding the fruit will begin to dry. Producers should harvest the pumpkin by cutting the vine on each side of the fruit stem, leaving a nub at the point where the stem meets the vine. This encourages the stem to maintain strength as it dries down and will minimize infection by microbes that can cause decay. Popular this year from Outstanding Seed Company are the Orion, a “good orange pumpkin,” according to Hoffman. The Edison variety is a soccer ball-sized standard. For stacking pumpkins, he noted that Moonlight, a flat, white variety, has been very popular, as well as Daybreak, which is sold out. “It’s been many years since I’ve seen the excitement for a variety like I have for Daybreak,” he said. “Today, pumpkins are a staple for fall decorations and recipes. Eating pumpkin provides numerous health benefits: they are high in fiber, potassium, iron, and vitamins A, B and C while being low in calories, fat and sodium,” the National Garden Bureau reported.